The IFEBP’S Annual Conference provide trustees with the information and solutions needed to make the most informed decisions on behalf of plan members and their families. Sessions will provide insights into updated legislative developments, the latest cost-saving ideas, and creative approaches to new challenges. How many times have you sat through a meeting not fully understanding what your actuary has just said? 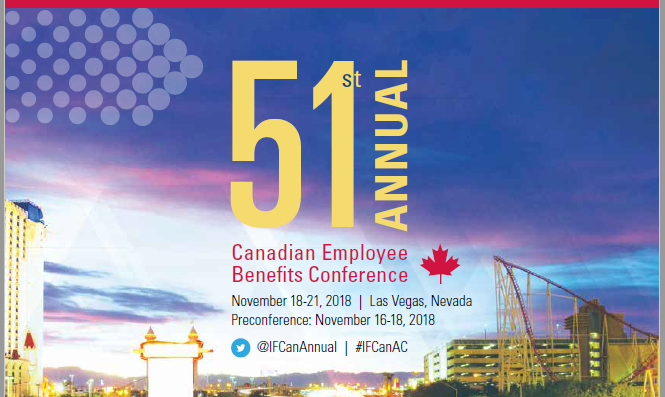 This session will help alleviate that problem, defining actuarial terms, providing simplified formulas and addressing actuarial matters you always wanted to know about but were afraid to ask: approaches to funding, spectrum of risk, actuarial gains and losses, margins and PfADs, and valuations—types, methods and how assumptions are set. You will come away from this session with a much better understanding of the actuarial world and better prepared to ask your actuary the questions that will help both you and your pension plan. Target benefit plans are unique—not quite DB and not quite DC—and often misunderstood. This session will describe the basics of how target benefit plans work and the associated funding challenges. Balancing benefit security with affordability and benefit adequacy can be a tricky act, and quite often it boils down to the level and type of margins found in the plan. There is also the added complexity of working within the applicable legislative framework. This session will explore why margins matter to target benefit plans, the impact of the different provincial rules and how they work, including the latest from Ontario.